Dormeo Fresh Memory Foam Mattress, Small Double is rated 4.8 out of 5 by 65. 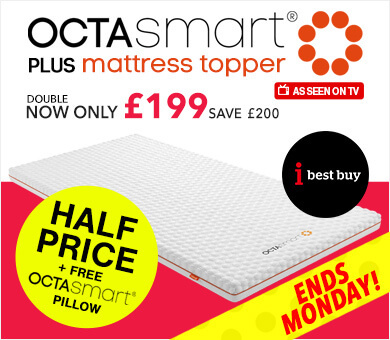 A great value memory foam mattress for fresh, clean sleep all year round. "The best mattress I'd ever slept on. EVER." 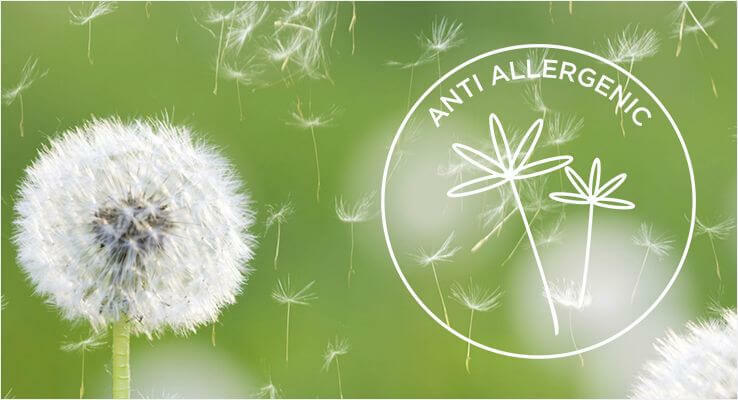 Provides natural anti-bacterial and anti-odour properties that help eliminate unpleasant odours caused by moisture absorption in the mattress. For easy movement or rotation of your mattress. 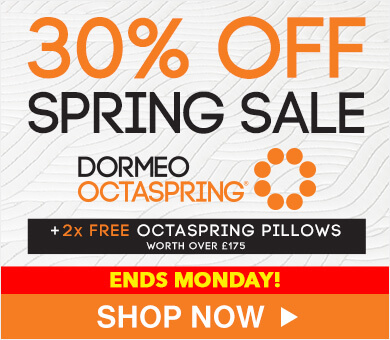 The Dormeo Memory Fresh mattress will help make your bed a fresher, healthier place. Bringing you a cleaner, and more refreshing night's sleep. Love the feeling you get when you slide between fresh, clean sheets? That's exactly the feeling you'll get every night with our new Memory Fresh Mattress. It's specially designed for a fresher, healthier sleep experience. 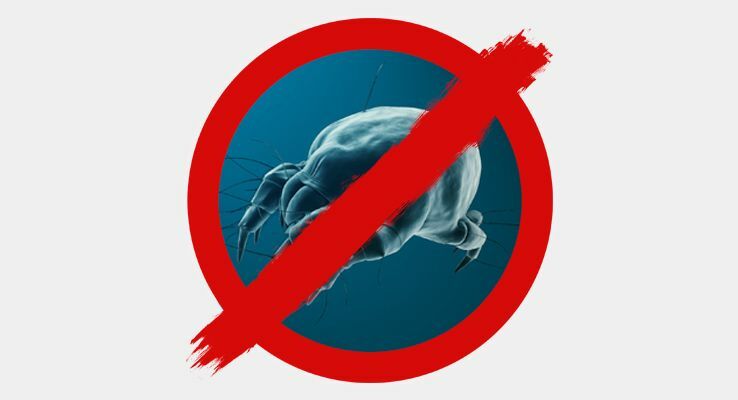 Plus, it features our amazing CleanEffect treatment to help banish bacteria and dust mites. 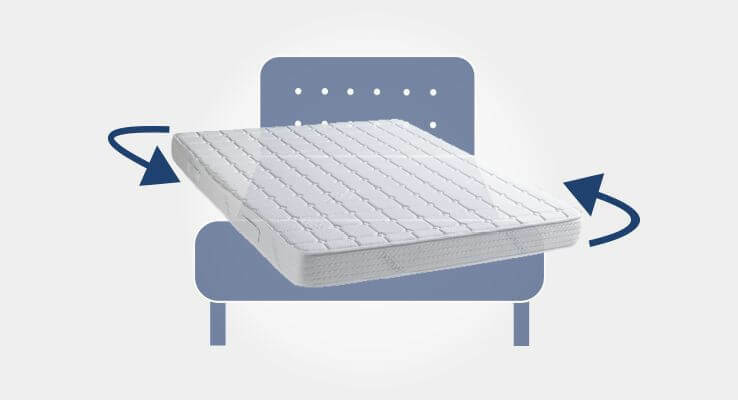 Our Memory Fresh mattress is designed to combine the natural benefits of Silver, the world's oldest natural antibiotic, with next generation pressure relieving materials to create the best night sleep possible. 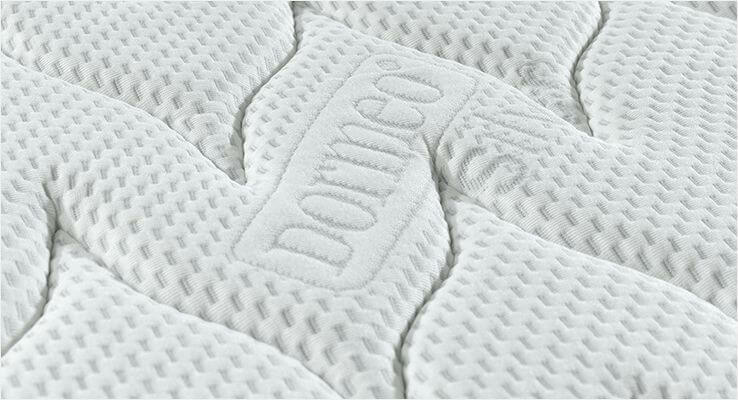 The luxury cover is enriched with silver fibres, which have natural anti-bacterial and anti-odour properties that help eliminate unpleasant odours caused by moisture absorption in the mattress. 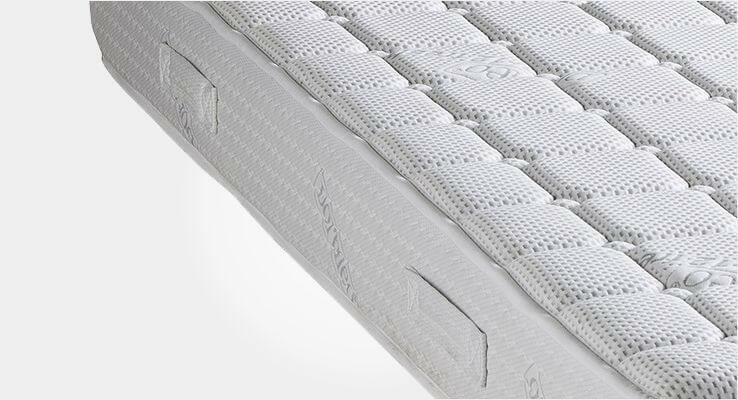 It also has the benefit of an anti-static shield to protect the mattress from dust particles that can cause allergies. 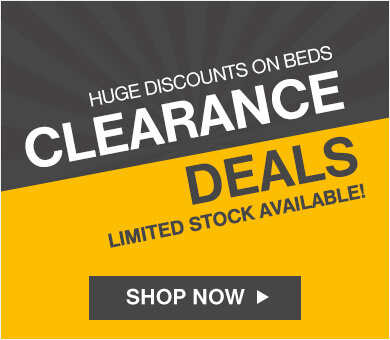 Enjoy a clean and fresh sleeping environment night after night. 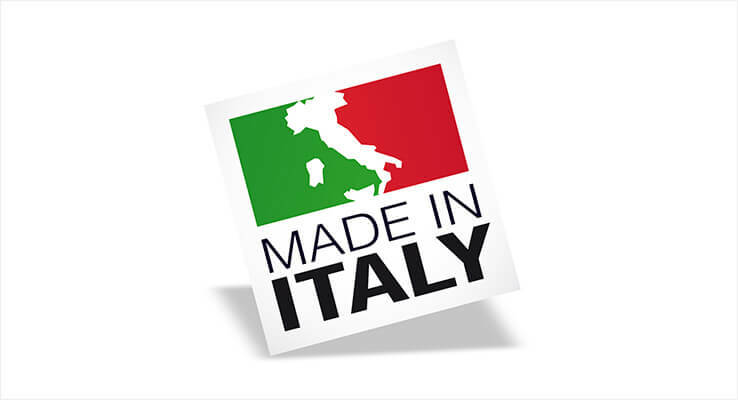 In order to create a mattress that provides the perfect environment for healthy and comfortable rest, Dormeo sleep experts have developed special materials for the mattresses. 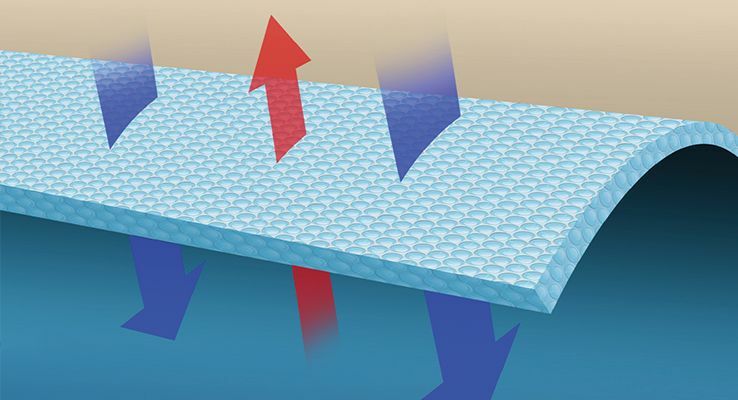 Ecocell is a unique, next generation foam designed to be permanently elastic with a 3-dimensional cellular structure, providing efficient air circulation and support where you need it. Ecocell® has been especially developed to guarantee point adaptable support and remain permanently elastic. Three-dimensional cellular structure allows the material to breathe. 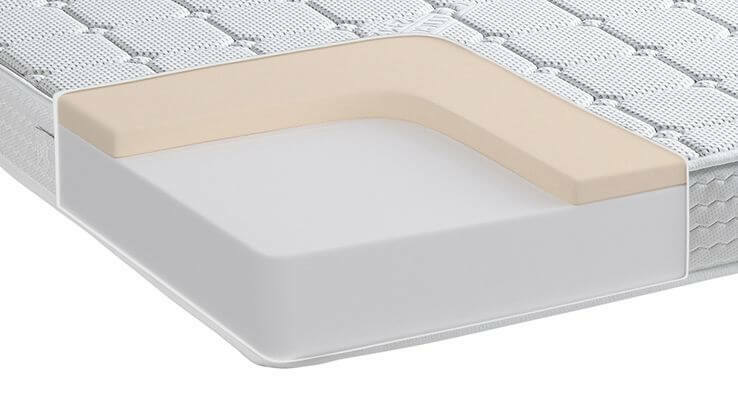 While you sleep, the elasticity of Ecocell® foam reduces the painful pressure points that can sometimes cause you to toss and turn during the night. Silver has long been recognised as a remarkable natural antibiotic and, weaved into our mattress cover in a combination with Sanitized® protection, it offers amazing anti-bacterial, anti-static and anti-odour properties. 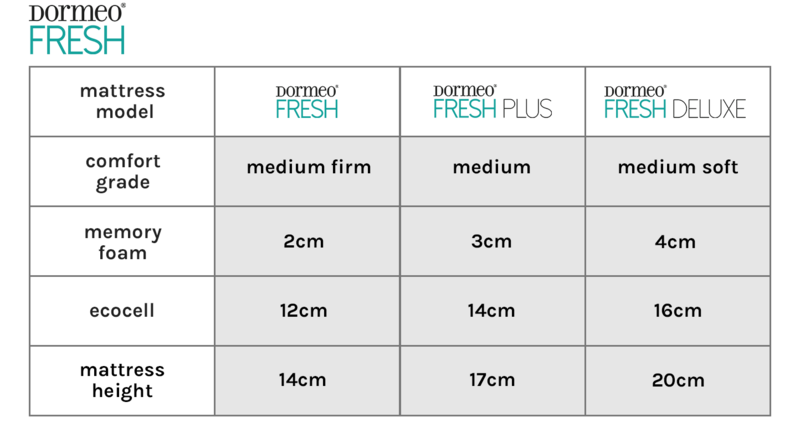 The silver fibre used in Dormeo mattresses has a layer of pure silver permanently bonded to the surface and woven into the fibres of the Dormeo mattress cover. This process creates a fibre with all the characteristics of traditional textiles combined with all the benefits inherent in pure silver. It all adds up to a fresh, comfortable and rejuvenating sleep experience that is backed up by our 60 Night Comfort Guarantee. 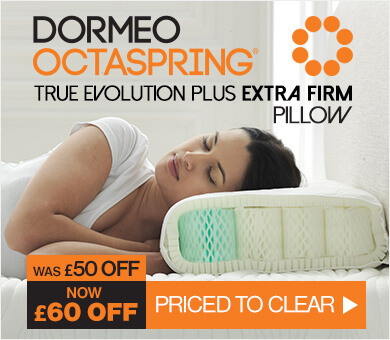 Rated 5 out of 5 by Mrs M Scott from Excellent quality, extremely comfortable: not too 'firm'' and definitely not too 'soft' - just perfect. 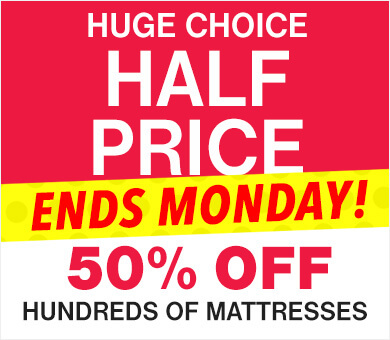 Highly recommend this memory foam mattress and an impressive 15 year guarantee - can't ask for better. Thanks for reading my comments. Rated 5 out of 5 by Sally-Jane Brown from This mattress has been brilliant. Perhaps not as much depth as expected but in terms of comfort it has not made any difference. Never been a good sleeper but since having the mattress sleeping at least an extra hour or so than before. No roll over either which is brilliant. It was really good value as purchased with a considerable saving. If Iâ€™d paid full price the review would be no different. Rated 2 out of 5 by Trisha from Dormeo Fresh Memory Foam Matress I purchased this mattress in June of this year 2018, it's firmer than I thought it would be and it's a nice looking mattress but it's just like any other foam mattress it makes you too warm. I don't sleep any better at all with mattress, I wish I had kept my old mattress while I was in the 60 day trial, because I would have returned it because I don't like the heat it causes. Rated 4 out of 5 by June from Whilst the mattress appears lower the quality and comfort is excellent. 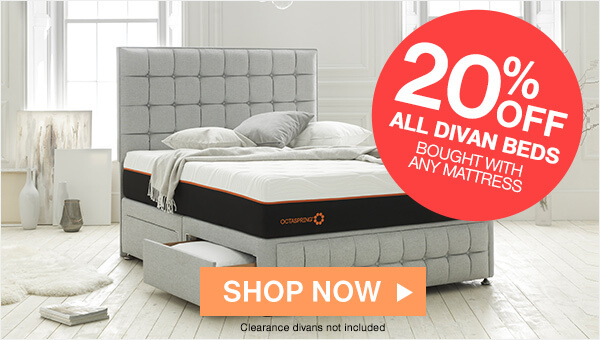 This was bought for my elderly mother who was having difficulty getting into bed and turning over during the night, with this new mattress she can get into bed on her own and is finding much easier to move during the night.